I have read and agree to the Terms and Conditions and give my consent to Chicago Blackhawks Foundation to process my personal data. I understand I can revoke this consent at any time. The auction is presented by Boeing, who employs over 20,000 Veterans and has supported over 800+ military and Veteran events, programs and organizations. All proceeds from the Veterans day auction will benefit USO of Illinois. 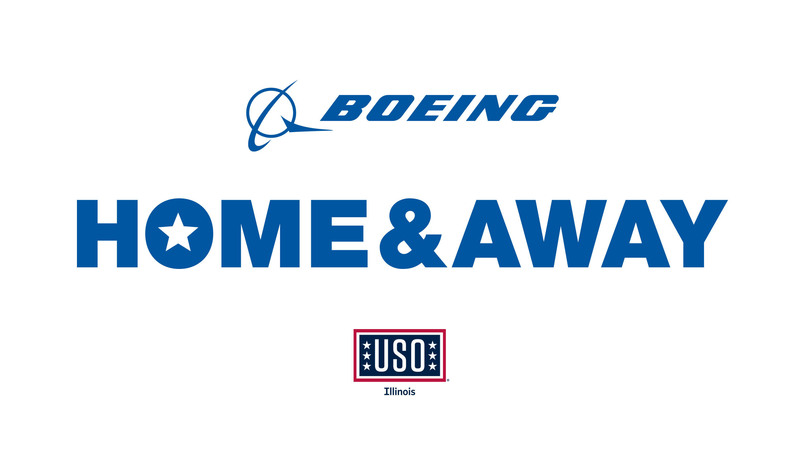 USO of Illinois touches the lives of nearly 325,000 Active Duty, Guard and Reserve military and military families throughout Illinois. Offered year round, USO of Illinois provides over 300 programs and services that enhance the quality of our service members lives which raise morale through unique recreational, educational, and cultural opportunities and USO Center facilities at Midway Airport, Great Lakes Naval Station, O'Hare Terminal 2, O'Hare Terminal 3 and the Rock Island Arsenal. Questions? contact Sara: solson@chicagoblackhawks.com *Items unclaimed after 30 days will be forfeited and refunds will not be given. To claim your item contact Sara Olson.